The Clothesline Project serves as a visual display of violence against women, men and children. Survivors of violence or their family and friends whom have been impacted, design shirts sharing their story or message, which are then displayed on a clothesline. This public exhibit provides the opportunity to raise awareness, educate the community, and support and honor survivors. Established in 1990 in Cape Cod, Massachusetts, Clothesline Projects are held all over the world every year. 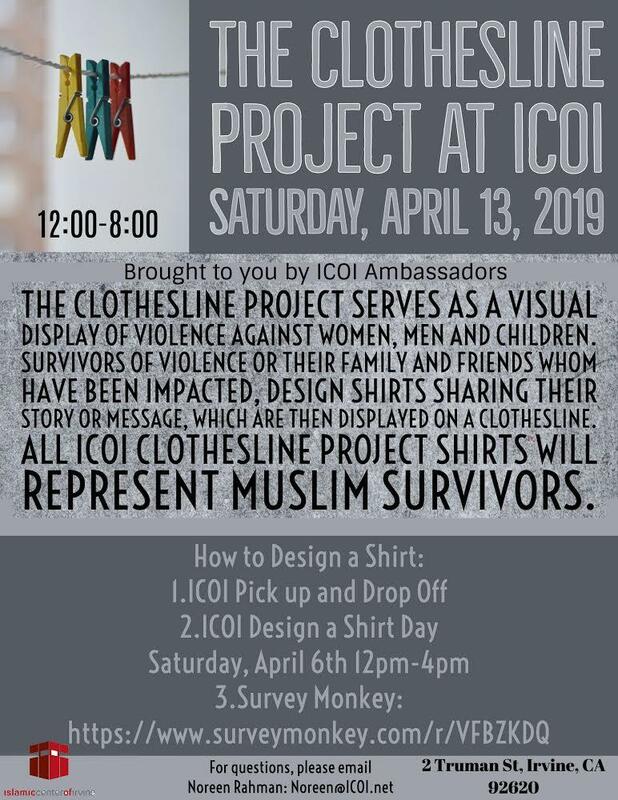 All ICOI Clothesline Project shirts will represent Muslim survivors.